Life is full of challenges: some that can be worked through, and some that can only be managed. These 10 inspiring yoga teachers have overcome adversity: each one has been helped by their yoga practice both on and off the mat, and each story is inspiring and encouraging in its own way. Read on to find out how they beat the odds to become the wonderful yoga teachers they are today! Following a major snowboarding accident, Dusty’s life-long dreams of being an athlete were dashed, when he was told he would never run again. While his body made a slow recovery, the mental impacts of this life-changing event continued to impact him, and he felt bored and incomplete. Dusty started to regain his physical power when he began a regular yoga practice, however it was the mental benefits of yoga that thoroughly changed his life. He feels that yoga allows him to have control over his thoughts, and that it gives him energy and appreciation for life. He now runs Karma Yoga and Fitness in Kelowa, BC, to allow him to share this healing with the community. While serving with the US Army in Iraq, Dan Nevins became a victim of an improvised explosive device (IED) which left him with traumatic brain injury and resulted in bilateral amputation of his legs. Determined to keep himself mentally and physically active, Dan tried yoga, but was frustrated with the use of his prosthetic legs. Making the brave decision to practice without his prosthetics changed everything for the former soldier: he found the connection to the earth that he’d been missing and the mental strength to deal with the deeper scars of war. 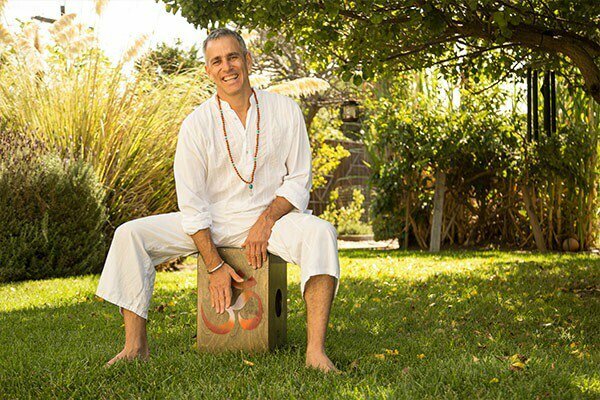 Now a strong advocate for the life-altering impacts of yoga, Dan rightly maintains that it is for every body: he puts this into practice teaching yoga for warriors, yoga workshops and teacher trainings, as well as sharing his story through public speaking. Danielle Orner was diagnosed with bone cancer at 15, had had her leg amputated by 16, and at 23, was still in an ongoing battle against the disease. Her doctors didn’t seem to be able to help, and after going into anaphylactic shock following treatment, Danielle decided to take matters into her own hands. Taking up yoga and following a healthy, plant-based diet were two of the vital life changes she made: at 26, she had been cancer-free for two years. Danielle’s practice progressed from making peace with the poses she could not do, to freeing herself from limitations and taking a teacher training course. She now writes, makes films and teaches yoga in LA. Working as a fiction writer, now yoga teacher Amy Weintraub’s battle with depression seemed never ending. Her psychiatrist told her she would always need medication, and she saw herself as defined by her depression. Everything changed when she began to practice asana, pranayama and meditation: her dependence on medication faded, and her world became brighter. With the help of a therapist, Amy eventually came off medication for good. The life-changing impacts of the practice moved Amy to write Yoga for Depression, starting a movement that resulted in the creation of LifeForce Yoga Practitioner Training; a teacher training course focusing on teaching students with mental health issues. In his 20s, Brooklyn-born Marty Klein struggled with an eye disease: after three surgeries, it left him blind. This immense challenge turned out to be a blessing in disguise, pushing Marty to swap his life as a soldier and gambler for a life of service. He discovered a connection to people and community through working at a crisis intervention centre in Woodstock, and went on to start a variety of initiatives aimed at helping people with disabilities. This includes a program introducing the blind to yoga, through which Marty wants to spread the positive impacts of a yoga practice with this often-overlooked community. 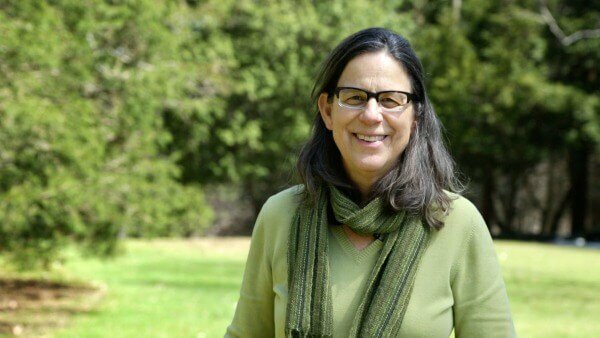 Aruni has been a senior faculty member at Kripalu Centre for Yoga and Health since the 1990s. Years before, Aruni was working as a yoga teacher in New Jersey -- a wonderful situation to an outsider, but underneath, she was seriously struggling against negative relationships with food, alcohol, and drugs. After a particularly bad night, she contacted Alcoholics Anonymous and followed their 12-Step program. Aruni found that this was well-complemented by yoga: her teaching of the 12 Step Principles coupled with the principles of Living Yoga are directly related to her own experience of this powerful combination. After Tommy Rosen attended rehab to let go of his severe drug addiction, he found that his still-present addictive tendencies would lead him to gambling. This addiction not only had tough financial implications, but also a huge physical impact. After a three-day casino stint of high adrenaline, caffeine, sugar, and little movement, Tommy experienced pain that was diagnosed as a degenerative disk disease, leaving him unable to move pain-free for months. This incident prompted him to begin a Kundalini practice. It was through this that he finally found relief from his addictive behavior, and eventually moved him to start Recovery 2.0, an addiction recovery program founded on his experience. Like Futuronsky, he sees the 12 steps and yoga to be a powerful duo. Models can often look like they have it all, but Kia Miller’s story demonstrates that things may not be what they seem. For eight years, she struggled with bulimia, keeping it secret from friends and family and feeling a deep disconnection to her inner self. Practicing Hatha yoga gave her the strength to seek help, but it was during her Kundalini practice that Kia really found the connection to her true self that the eating disorder had distorted. She is now on a mission to share the practice and encourage people to live to their fullest, most creative, and most joyful potential. Garth’s active lifestyle was turned upside down when he was diagnosed with Multiple Sclerosis, a chronic disease that can diminish brain function and severely impair motor control and vision. 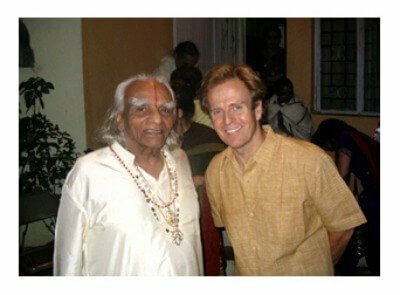 He was recommended Iyengar yoga by a friend and began the practice shortly after his diagnosis. Garth credits yoga, along with medical steroids, for getting his MS into remission -- while the physical benefits helped him to stay active, the solace he found in Iyengar gave him mental and emotional strength whenever the symptoms returned. His MS has now been in remission for over 10 years. He teaches Iyengar weekly in LA to help others manage the difficulties of both MS and life at large. While some yogis feel that they can use yoga alone to manage their mental health, LA Finfinger feels that as part of her duty of self-care as a teacher, she should continue to use medication to manage her mood and anxiety disorders. The Baltimore based yoga teacher is a strong advocate for mental health awareness: she stresses that her yoga practice supplements her mental self-care, and warns against swapping medication for meditation -- while it may work for some people, for many it could put them in danger. In a culture where mental health issues are often swept under the yoga mat, LA’s voice is grounded in experience and reality, and reminds the community to be open and honest with both themselves and each other. Has yoga helped you to manage an illness or overcome adversity? Share your stories with us! Disclaimer: While yoga can make a huge difference to those dealing with many kinds of physical and mental illnesses, please do not alter medication without the advice of a medical professional. Furthermore, please ensure your yoga teacher is aware of any physical limitations you may experience, so that they can help you to adjust accordingly.